marché actuel présente le BLACK Hiditec NG-Z1 intégration de la boîte pour l' installation de leur équipement. A simple, yet elegant design, which is fitted with all the special features for high-performance equipment. The NG-Z1 marks the difference with a simple, elegant design; its lateral methacrylate window provides a full view of inside the chassis and all its components by means of the LED lighting from the five fans. 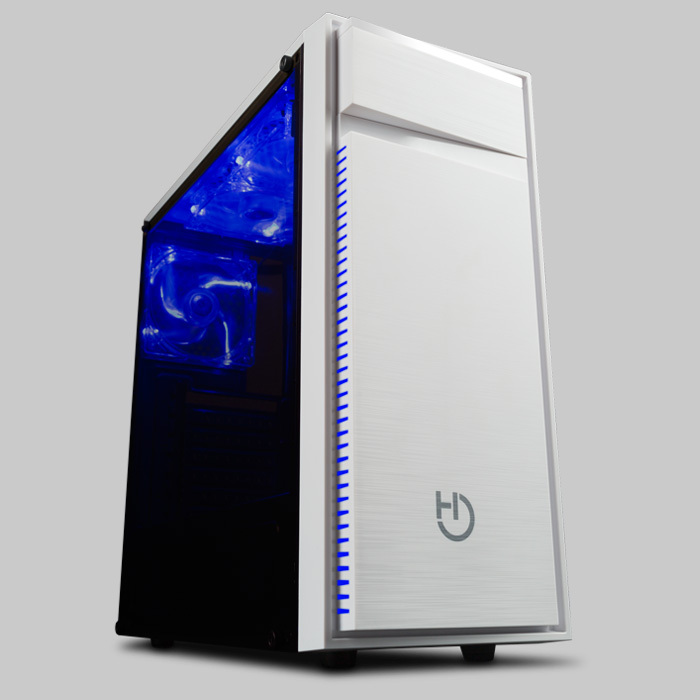 The front panel, with its brushed-finish effect, complements its spectacular design and its upper section is fitted with USB 3.0, card reader and audio and microphone connectors. 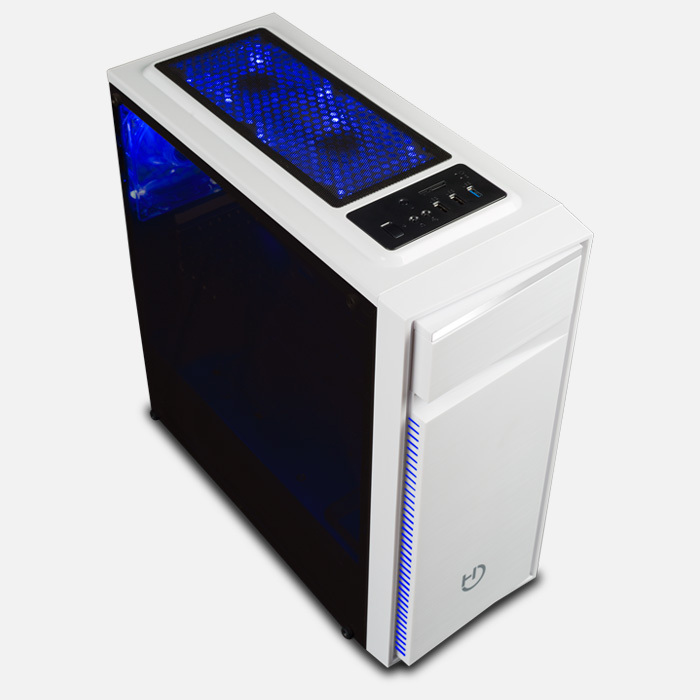 The NG-Z1 includes excellent ventilation capacity that ensures efficient air flow inside the chassis. It incorporates a series of three 120-mm fans with LEDs, together with space for two additional units in the upper part of the chassis. In order to prevent dirt accumulating inside, they are fitted with dust filters. The dust filter in the upper part of the chassis includes a magnet so that it can be easily removed for cleaning. The NG-Z1 is fitted with a chassis suitable for equipment having the very latest specifications. 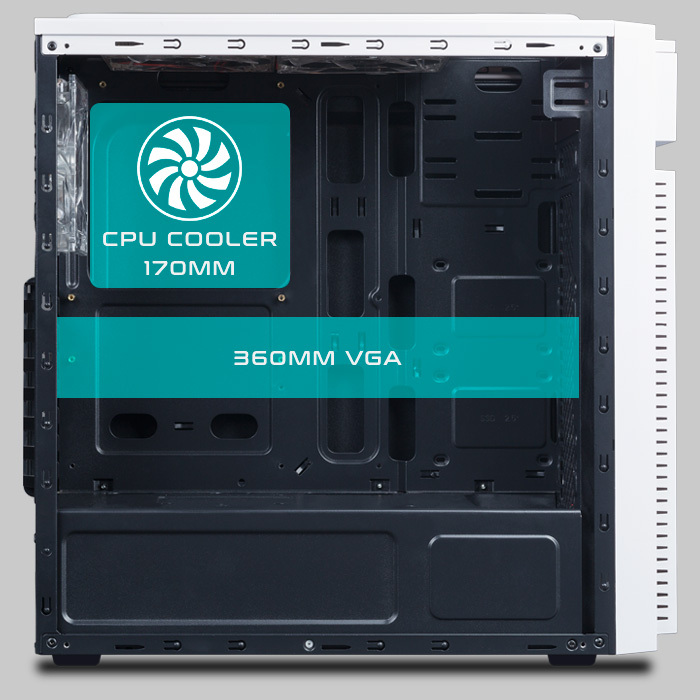 Fans, up to 170 mm high, can be installed, together with high-performance graphic cards up to 360 mm. The chassis allows cable management to obtain a clean interior installation and thus obtain enhanced equipment operation. 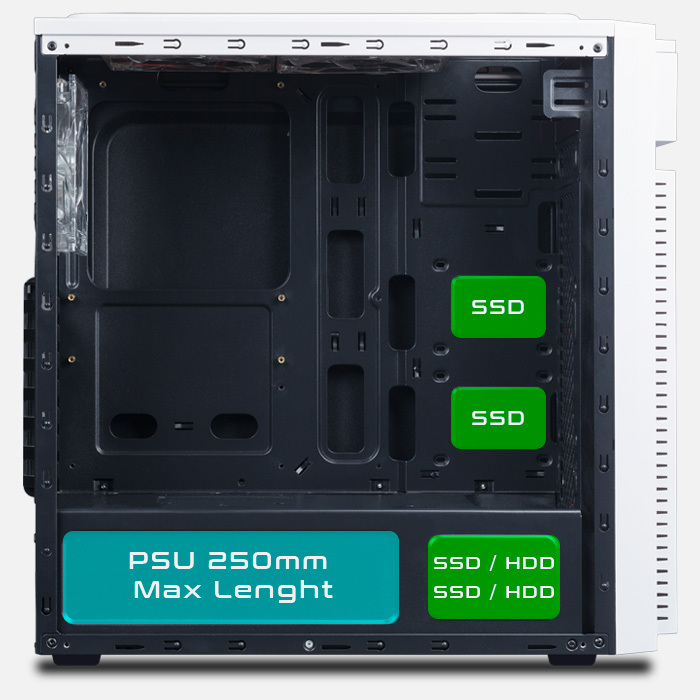 It provides high storage capability with three solid state drive (SSD) supports and two 2.5-inch disc drive bays and these bays can be combined with SSDs according to your personal needs. The power supply is fully isolated inside the chassis and all the hot air that it produces is taken directly outside the chassis, thus producing excellent equipment efficiency.